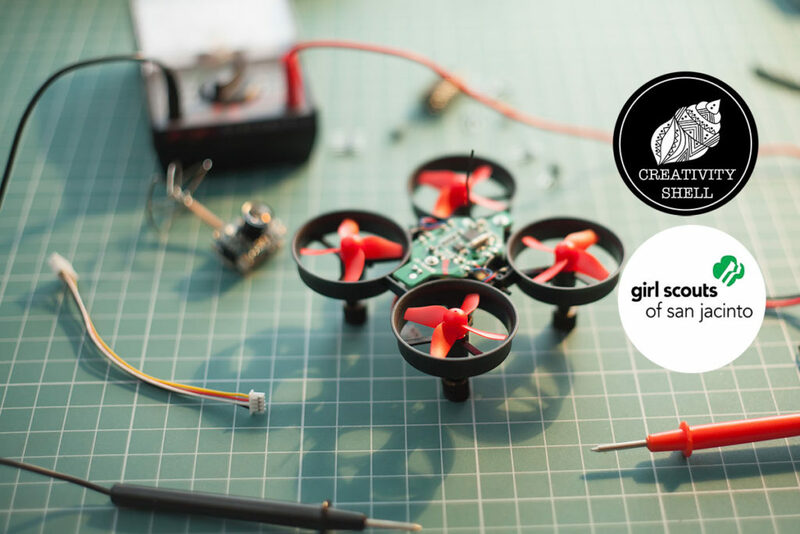 The Creativity Shell is a registered 501 (c)(3) nonprofit organization on a mission to use creative trades to educate and inspire the next generation of makers. 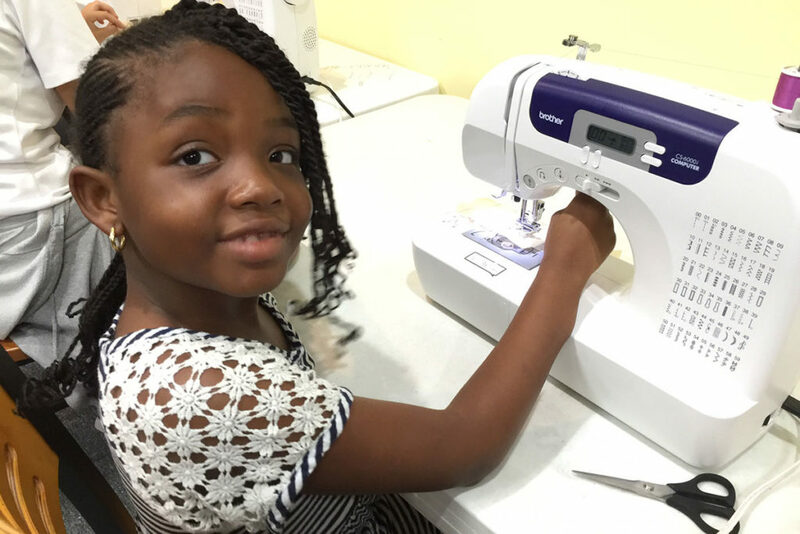 Our organization teaches sewing/textile arts classes to students in public libraries, schools and shelters that rescue children from homelessness and human trafficking. Sewing/textile arts classes are designed to educate and inspire children by teaching them essential life and practical skills. Thirty years ago, home economics programs such as sewing, cooking and shop classes were a standard part of the education system. Today, most home economics programs have been removed from schools and many children are not learning these skills at home. When the Creativity Shell began teaching sewing/textile arts classes in local schools we were faced with a larger crisis that we initially imagined. One of the biggest challenges we are facing with our programs is the lack of practical skills among the students we are teaching. In our classes, we have high school students who cannot tie their own shoelaces, students cannot cut fabrics with scissors, they cannot thread needles and many cannot fix a button if it were to fall off their shirt. Furthermore, the lack in their ability to use practical skills adds to extreme frustration and poor problem solving skills and decision-making skills. 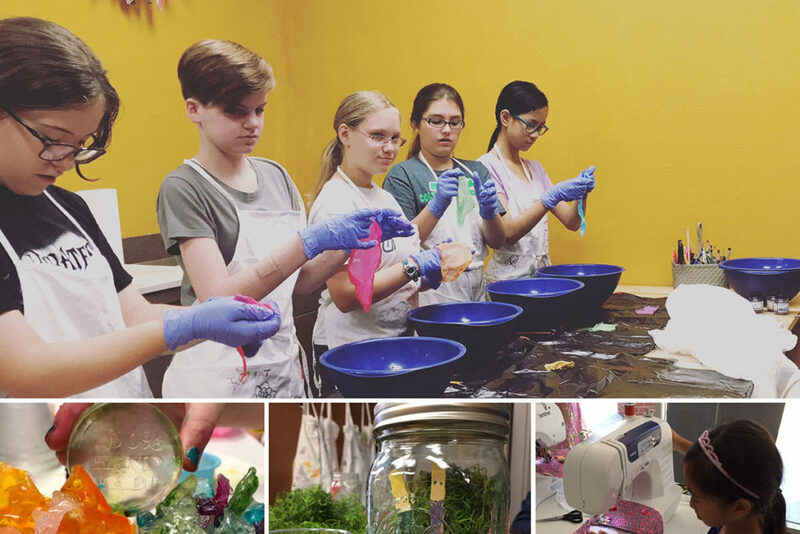 To help prepare students for the future, the Creativity Shell uses our sewing/textile arts classes to teach children essential life and practical skills. Our team is made up of creative people within the community who poses artistic skills and plenty of patience to gradually pass their skills on to the students we teach. Our Executive Director, Shelancia Daniel is a costume designer and Educational Psychologist. She uses many educational psychology concepts derived from the works of Jean Piaget, Maria Montessori, Reggio Emilia and Bryan Sutton to design sewing/textile arts programs for our students. Our leadership team also consists of award winning textile artist Ginny Eckley and Jane of all trades Monica Hachey. Ginny has traveled to many different countries teaching textile arts to students of all ages. Monica is a mixed media artist who is constantly crafting and creating unique items for sale or auctions. Our Board of Directors also consists of Dr. Lee Foster who is a graduate of the Eastman School of Music in New York, and Dr. Lynn Waters who is a psychologist in Pensacola Florida. There is no “one size fits all” method to education! As the use of technology continues to increase throughout the education system, the value of trades decrease. At the Creativity Shell, we believe that teaching our children the trades we know and use today will help them continue to thrive as a generation of makers instead of a generation of buyers. Children are the leaders of the next generation which makes them earth’s most precious resources. As adults, we can positively engage our children by understanding there is no “One size fit’s all” method to education. Children should have exposure to different learning methods. As they grow, they will naturally gravitate into the methods which best fits their learning style. There are many who view creative trades such as sewing or woodworking as a last resort to education…we see it as a complimentary addition. When children are free to explore the many talents around them, this helps to create well rounded children who can use their trades as an employment opportunity or a therapeutic hobby. When we work together with other childcare organizations, we can all get to know and understand the different children that cross our paths, and help embrace or direct them to other paths along their journey into adulthood.